In February 2019, the DFL Deutsche Fußball Liga published the new ‘DFL Sport Report’, detailing the development of the Bundesliga and Bundesliga 2. Not only did it find Germany’s foremost division to be the highest-scoring and best-attended of the top European leagues, but also the youngest. Statistically, the average age of Bundesliga squads has reduced from 27.1 in 2001/02 to 24.7 in the current 2018/19 season. Individual player averages are also down to 26.2, while a baby-faced 14.4 per cent of Bundesliga pros fall into the Under-21 bracket. That’s double the number compared to the English Premier League, the obstacle-laden platform breakout Borussia Dortmund teenager Jadon Sancho left behind in favour of regular first-team football in Germany. England winger Sancho has been a revelation in only his second season of Bundesliga football, chipping in with eight goals and 12 assists after 26 league matches. He’s 18 and has the world at his feet, but the former Manchester City youngster is not the only foreign-born boy to have become a man in the Bundesliga. It’s a foresight and willingness to take a chance on youth unique to the German football scene, and a veritable guarantee for future success. The proof is in the prodigies. Thomas Müller is FC Bayern München born and bred – the archetypal academy product and proud owner of over 300 Bundesliga appearances and seven Bundesliga titles before the age of 30. 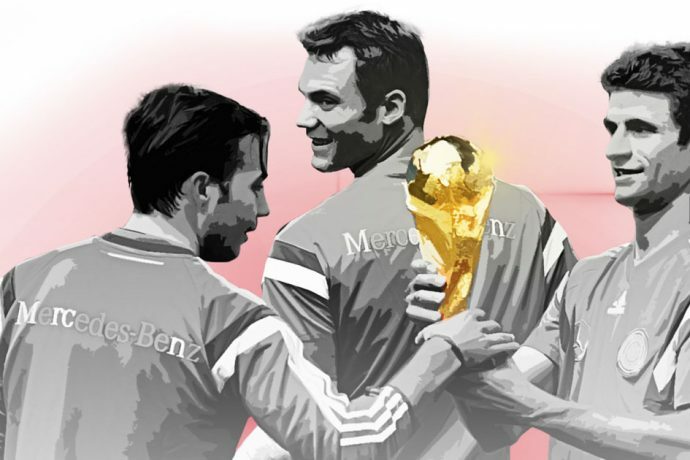 Bayern teammate Manuel Neuer emerged from FC Schalke 04’s vaunted Knappenschmiede academy, having represented his hometown club at every age – including the seniors – before establishing himself as Germany’s and the world’s No.1 goalkeeper, while fellow FIFA 2014 World Cup hero Mario Götze was still only 17 when he breathed Bundesliga air for the first time with Dortmund. Without the Bundesliga, their careers may have panned out very differently. As well as an enviable, far-reaching scouting network responsible for unearthing the likes of Pulisic and Son, and comprising 300 centres nationwide aimed at spotting and encouraging young talent, the 36 clubs across Germany’s top two divisions also boast laudable academies. 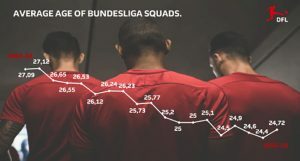 Clubs have invested a staggering €1.39 Billion in youth development since academies were made a mandatory requirement for Bundesliga and Bundesliga 2 outfits in 2002 – a commitment which is reflected in the eye-watering proportion of home-grown players currently plying their trade at Germany’s top table. Some 57.8 per cent of Bundesliga professionals came through a domestic academy, compared to 39.5 per cent of Italian players in Serie A and 32.6 per cent of English natives in the Premier League. The next generation are writing their own history too. Take Leverkusen’s Kai Havertz. Fast, exciting and technically proficient, the 19-year-old – who was still at school when he made his top-flight debut – is only 20 appearances shy of his Bundesliga century. In many ways, he is German football’s in-youth-we-trust philosophy personified – but there’s plenty more where that came from. Jann-Fiete Arp, for one, has secured a long-term deal with FC Bayern München from boyhood club Hamburg, for whom he made his Bundesliga debut and became the division’s first millennial goalscorer at just 17 in 2017/18. Now 19, the prolific Germany youth international is held in such high regard that he will decide when he officially links up with the record champions – this summer or next. With the proverbial cogs perpetually in motion from the top down, Germany will continue to strike football gold thanks to its exemplary academies, decision-makers and homegrown treasure trove. It’s a world-renowned recipe for success that transcends ages. The German football gift that keeps on giving – Football as it’s meant to be.